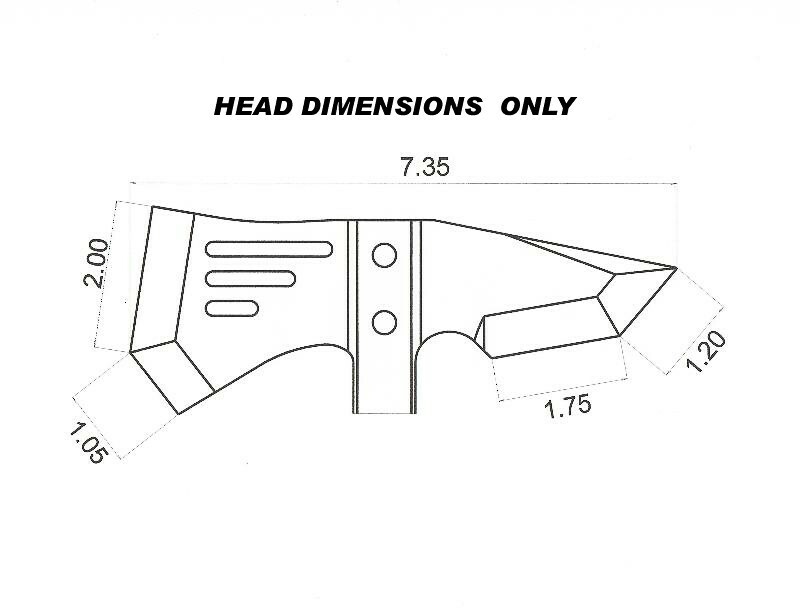 AKA: TOPS Crash Axe. For the guys that don't fit in. 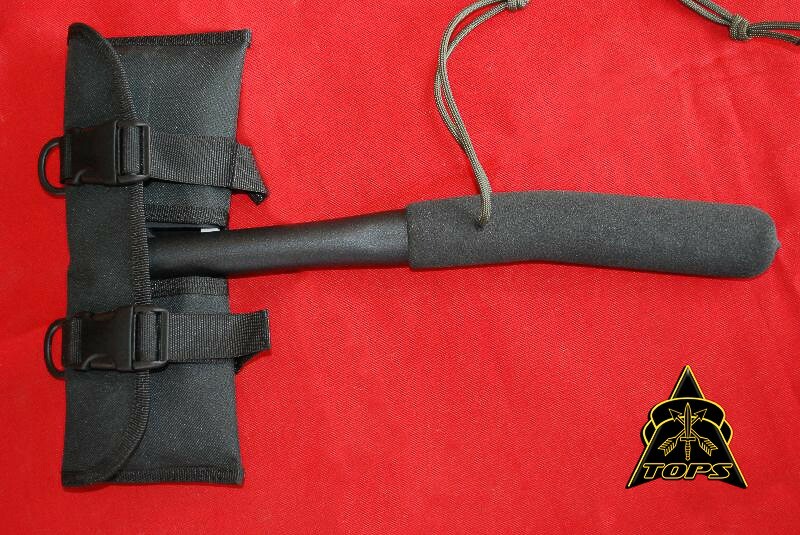 Crash axes were originally developed for emergency use to escape from downed aircraft. 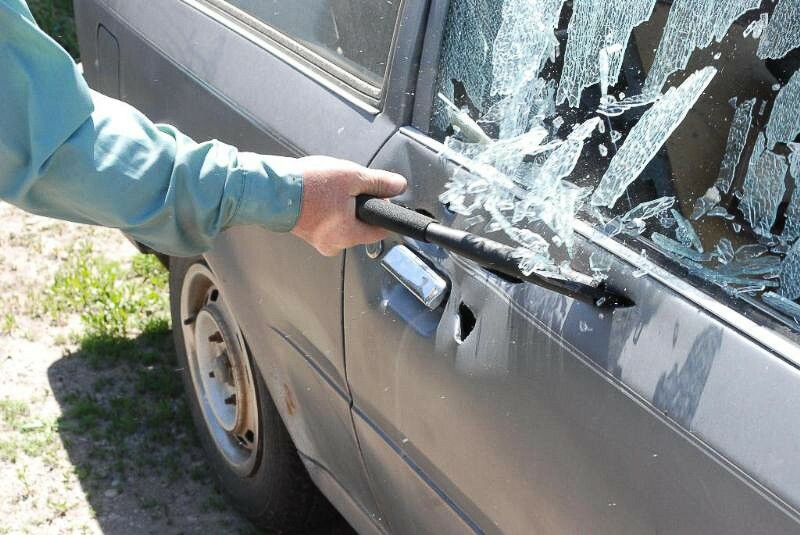 Their use has certainly been extended to SWAT, Fire and Emergency services, as well as being a 'Door Opener' for military units operating searches and seizures in urban areas. 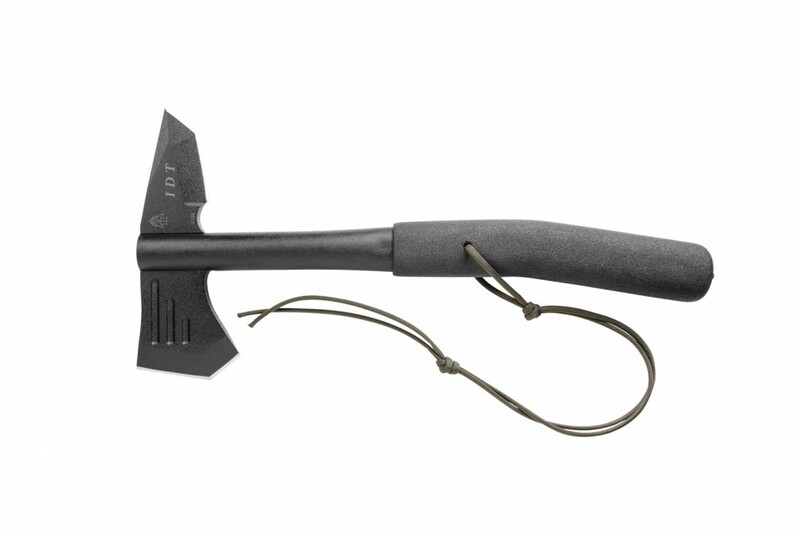 TOPS IDT has an extra heavy tactical head, which by itself it weighs one pound. It's 3/8" thick 1095 tempered carbon tool steel. 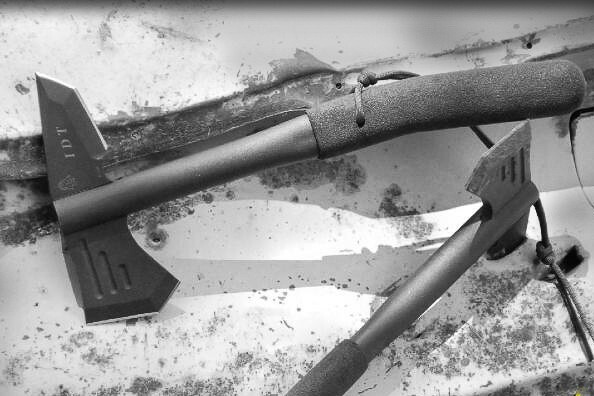 The head is attached to a special handle configuration to improve the momentum (power) of the chop or down stroke. 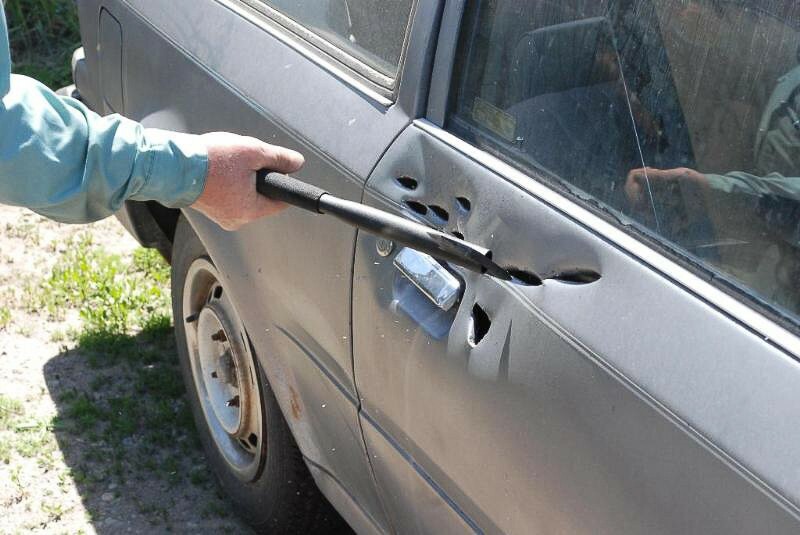 The tubular handle is made of chrome moly alloy (4130), considered stronger and lighter than steel. Chrome moly is like steel on steroids. It exhibits strength, toughness, and ductility. 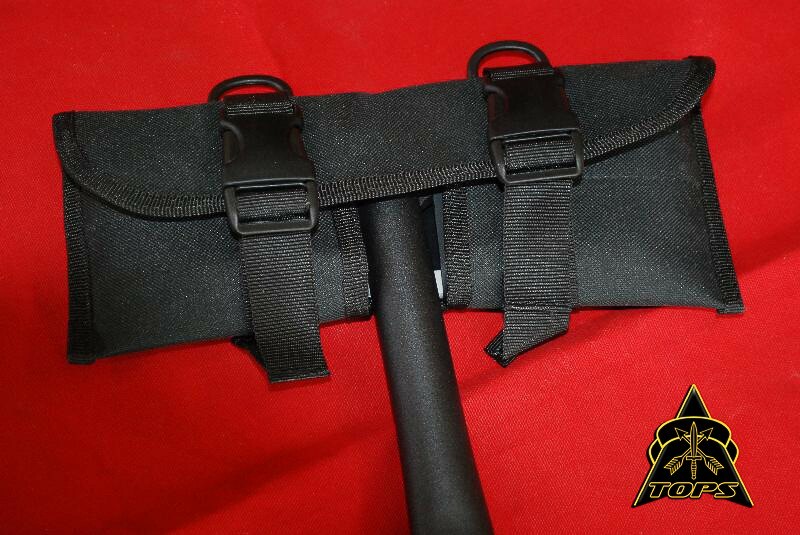 To ensure a secure grip on the handle, TOPS has provided a large 8" grip area made of "Eezer foam." 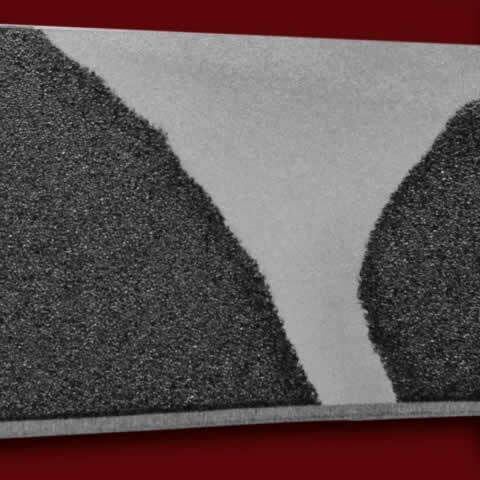 Manufactured through a patented proprietary process and unmatched in quality and durability. The smooth surface finish is non-slip under adverse conditions and is a high density shock absorber and insulator, with good abrasion resistance. 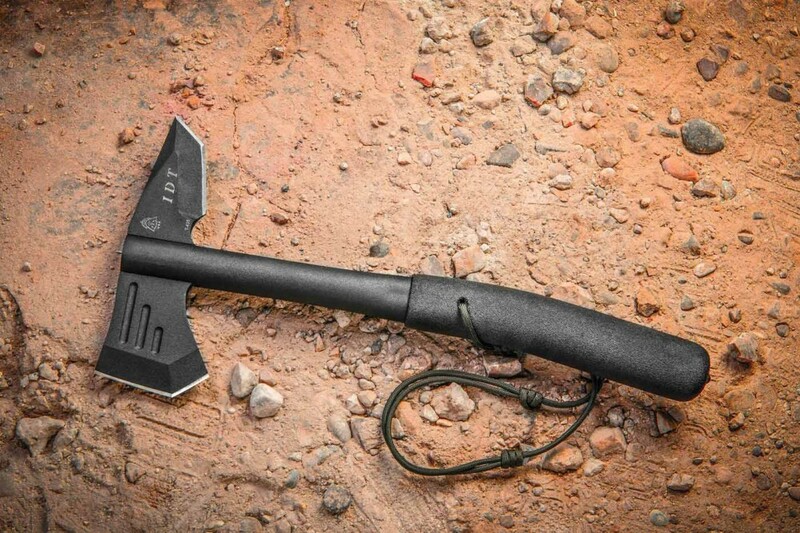 This is a tool you'll want to carry for many uses. Fire and Rescue, SWAT, and others have taken it to serve high risk warrants, clear urban structures, chop through doors, walls, ceilings, and floor boards, and of course, dismantle barricades. Not much is going to slow this brute down! An excellent addition to a 72 hour kit. 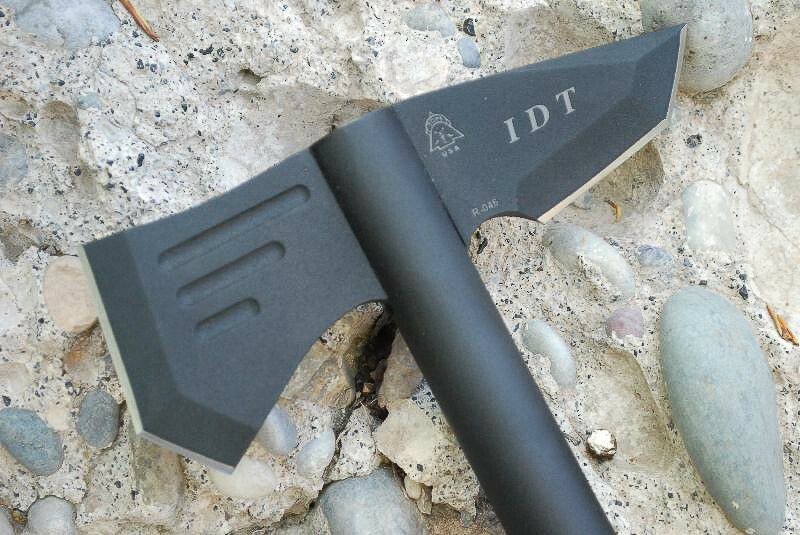 I was at a tradeshow here in Utah and was introduced to the IDT as I was talking about tomahawks... I got my hands on one and was like "O....M....G...." It is a BEAST. It handled all the testing I put it trough which included. Frozen Pig's head, Steel Door, Car Hood, Wood chopping and a few other tests. I was VERY VERY satisfied with it and gave it the Angry Jackalope Seal of Approval. It is a great tomahawk that is different then the standard fare you'd find elsewhere.